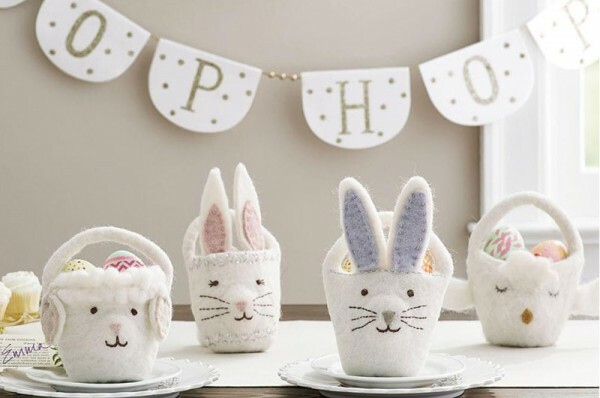 Some of the most gorgeous gifts at Easter are for the littlest member of the family. We’ve compiled the most clever and cuddly of them right here for you to peruse. 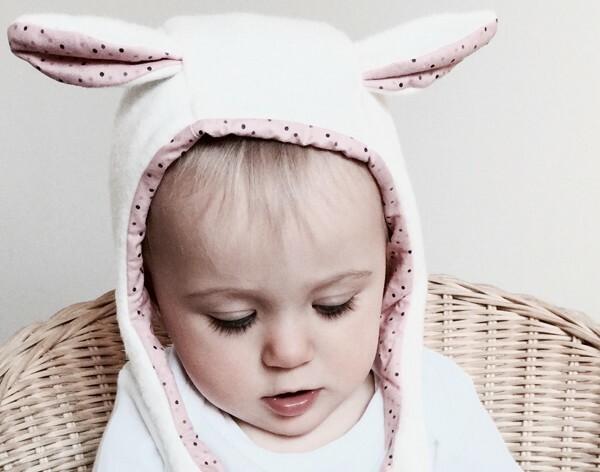 A baby is snuggle-worthy at the best of times but put them in a One Piece Bunny (pictured at top) from Style Child in Norway and you won’t know whether to photograph the moment or go in for the cuddle. Available for US$46, get in quick to order so it will ship to Australia in time. Etsy is abuzz at Easter and here is our pick for babies. This Bunny Ears Baby Bonnet from Chez Prudence for $25, is fleece on the outside and lined with cotton. Available in a variety of sizes, it ties under baby’s chin for a snug fit and those floppy ears will bring smiles and giggles all day. 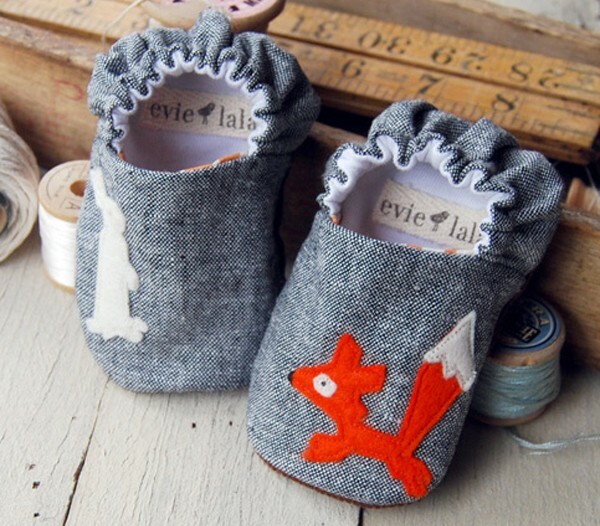 The Fox and Hare baby shoes by Evie Lala are handcrafted, reversible baby shoes that are beautifully made. I love the wool felt applique design. They have been designed and made right here in Australia and are suitable for both boys and girls. They are priced at $42 and come in three different sizes. Pottery Barn Kids never disappoints and we love these felted wool treat containers for $12. The sweet faces and lovely texture will capture the attention of little ones and hold all of their first Easter treasures inside. 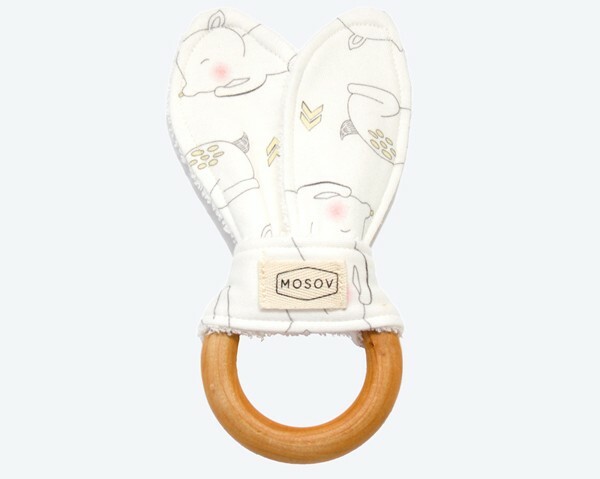 Teething isn’t usually a reason to celebrate but we can at least commiserate in seasonal style with this Mosov organic wood bunny ear teether ($16) from Two Little Ducks. A great natural teething alternative, the wooden ring is non-toxic and the fabric is made from GOTS certified organic cotton. This teether is practical as well as sweet and has fabric that can be easily untied and machine washed. 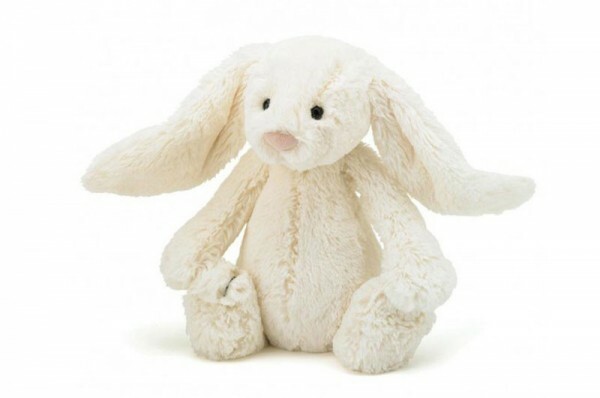 We can’t seem to stay away from the Jellycat Bashful Bunny at Easter and it is easy to see why. This year we are loving this rich creamy bunny with gorgeously long ears. Get the medium version for $40 from Leo and Bella. 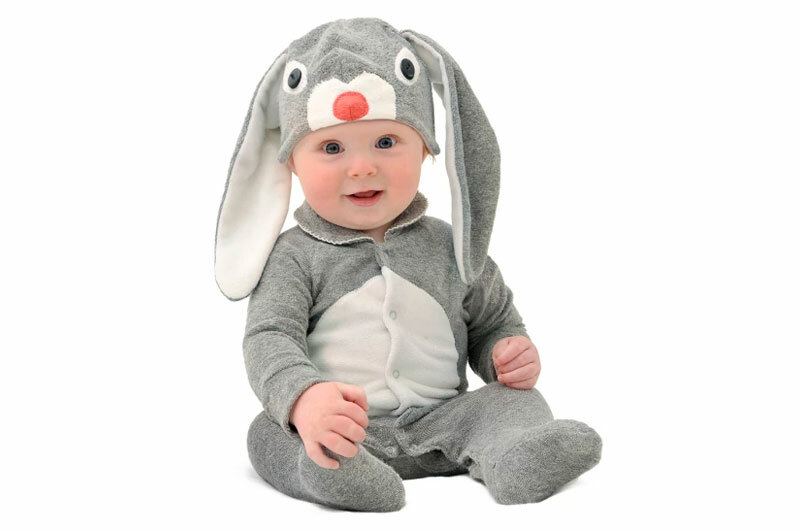 This is the perfect costume for your Easter photo shoot! 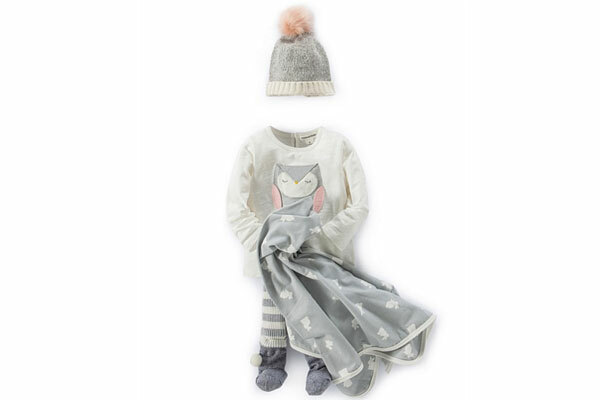 The Lil’ Grey Bunny costume with hat by Lil Creatures is made from super comfy cotton blend, two-way stretch terry in grey marle – authentic and adorable. For $79, it comes gift boxed and with free shipping. 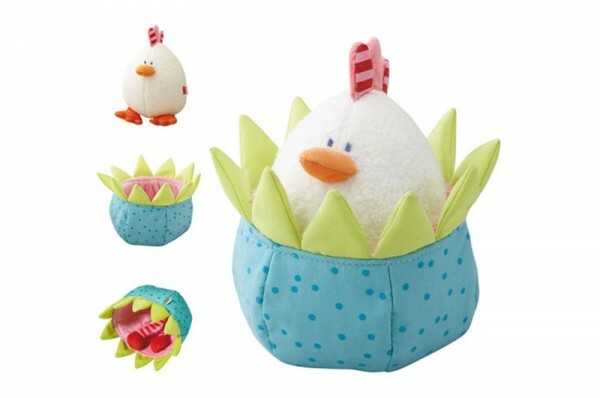 Baby’s first Easter toy is an easy decision with the Cozy Pet Chick by HABA. For $24, it is made from the softest velour fabric and is interactive with tweeting sounds, rustling foil, rattling eggs tucked away inside the nest and a removable and reversible nest. Parents will love that it comes with a handy loop for attaching it to the stroller. Country Road and Easter are just a match made in heaven; beautiful clean lines and quality fabrics with timeless design. Their signature blanket has been updated with a lovely bunny motif for the season and I’m loving the muted grey for the ultimate in unisex appeal. The unisex bunny blanket retails for $45. Little People Co. are a new favourite when it comes to affordable wall art that also supports a small Aussie business. 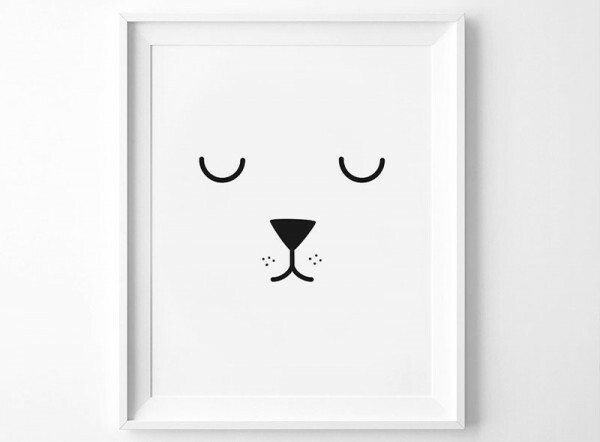 For only $8 you can download this Rabbit Face Monochrome Print instantly and have your little one’s nursery Easter ready in no time. Last but certainly not least is this beautiful Bunny Blanket from Oeuf. The pure baby alpaca blanket comes in the option of grey, slate or pink and it is currently on sale for USD$75. While you’re on the Oeuf site, you’ll want to check out the rest of their Easter range, there is an adorable hoodie and a fun bunny tee that you might like to consider. Stay tuned for more glorious Easter gift ideas for toddlers and big kids.